Thanks for visiting the Michigan butterflies page. Butterfly talk around Michigan increasingly uses the language of endangered. To date three species, the Karner Blue, the Poweshiek skipperling and the Mitchell’s satyr have been listed as endangered. Population decreases in Monarch butterflies also received considerable media attention. 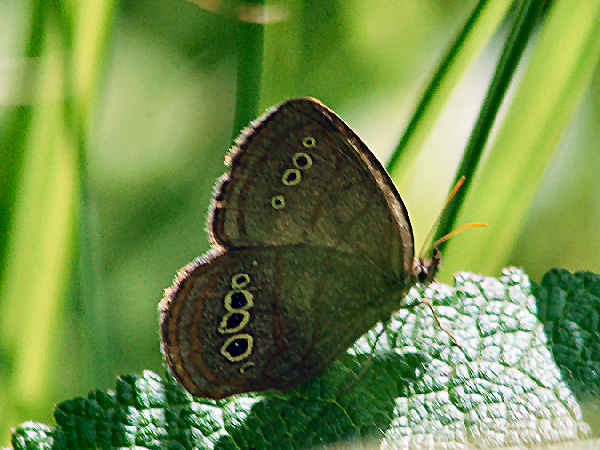 The Mitchell’s satyr butterfly is one of the most geographically restricted eastern butterflies. Historically, the Mitchell’s satyr was found in New Jersey, Ohio, Michigan, Indiana, and possibly Maryland. Today, the butterfly can be found in only 13 locations in Michigan and 2 locations in Indiana. A quick scroll down the page shows that the Michigan butterflies section is arranged according to family with some pictures covering representative species. The yellow and white butterflies of Michigan do not have as restricted a problem as the Satyr. Some of them have limited ranges because of either climate or vegetative growth patterns. Others such as the Cabbage White butterfly are wide spread. Their caterpillars feed on common back yard vegetables in the cabbage family. People all across Michigan see them in the neighborhoods as soon as the first garden blooms begin sprouting. 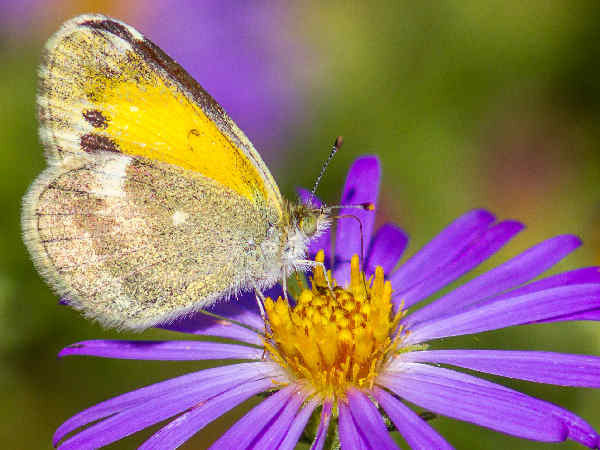 Dainty sulphurs often rank as the smallest of the yellow winged butterflies in states. They can be plentiful in season. Look for them in weedy areas close to the ground. Michigan’s presence in the northern tier of the United States means that it has a more balanced population of blues, hairstreaks and coppers. 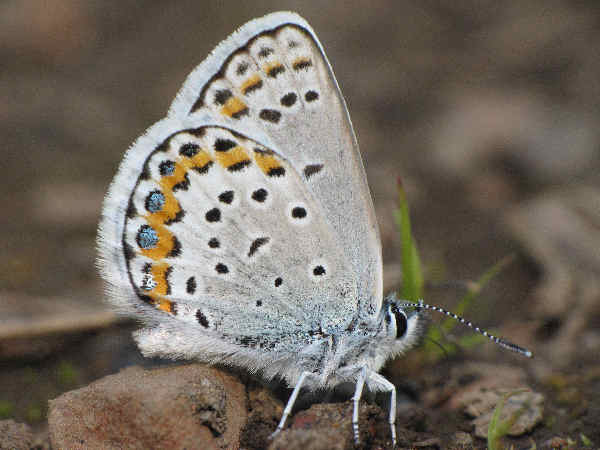 The presence of the endangered Karner Blue butterfly, they are called Melissa Blues in other areas, is probably the Gossamer Wing story that gets told on a regular basis. A quick glance at the list of Michigan butterflies in the Brush Foot family shows it is dominated by multiple species in single genera such as fritillaries, crescents and commas. They, along with checkerspots and tortoiseshell commonly visit gardens around residential areas, including the cities. Tourists looking to add to their fritillary collection can easily snap few pics. 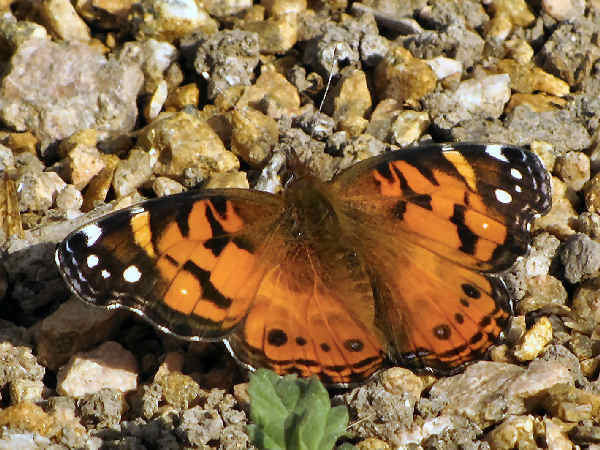 The picture shows one of the three local Vanessa species, the American Lady. Look for the white dot on the top of the wings to distinguish it from the others. Tourists and residents alike can not help but see the large swallowtail butterflies that hover around flowers from spring through summer. 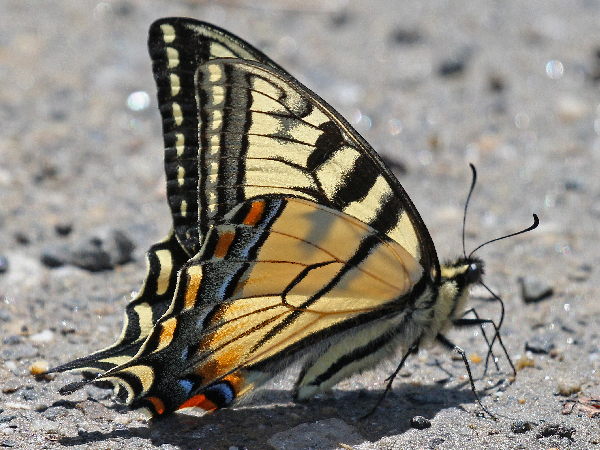 Canadian Tiger Swallowtails and Eastern Tiger Swallowtails can be difficult to distinguish. 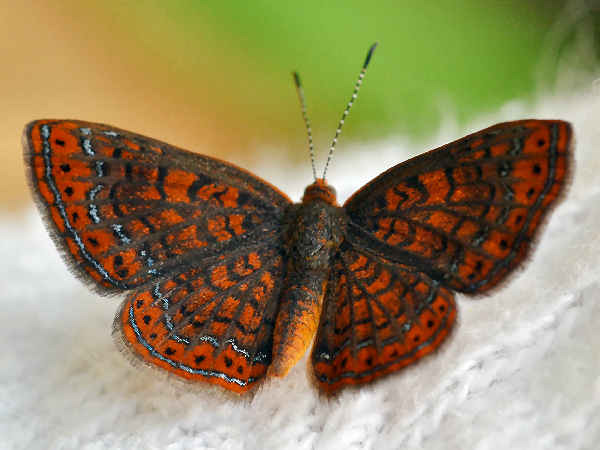 Swamp Metalmarks are the sole representative of the metalmark family in Michigan.